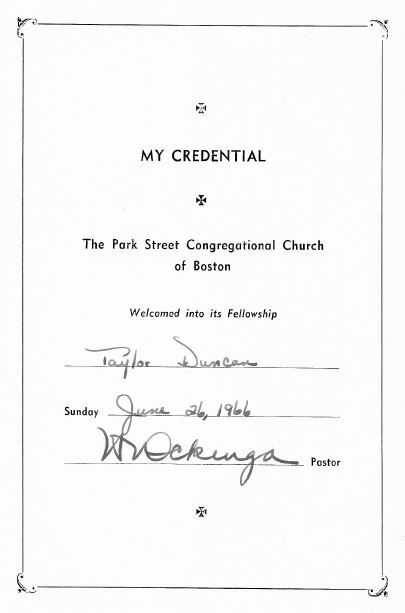 So we were up in Boston and one of the first things that we did, that Dad [Taylor] did, was to get us connected to Park Street Church, which was one of the reasons for a lot of us eventually going into missions. But your Mom—Eric, Virginia—Lee, back in Pennsylvania, I can recall her working at a Afro-American kids camp and loving to do that. She was an outreaching young woman at the time. She had been home and gone back and forth. I don’t know where it was at the time, but she went to West Suburban Hospital, where she graduated in nursing [~1950?]. That was part of Wheaton College connection there. Virginia Lee Duncan, at that time, Kindberg. [Heidi]: Their mother. [Heidi points out the Kindbergs in the room]. Their mother. Yeah. Their mother. So we were up in Boston and Park Street Church became a central part in our lives. Dr. Ockenga, who had come to Park Street Church in the ‘40s, also picked up the vision from Oswald Smith, up in Toronto, of missions. That developed up quite a bit at that church and so that was an early stimulus in my own life to go into missions. Although I had earlier, one of the things that I wanted to do in life, was to be an architect, but also there was the idea of going into medicine, which eventually happened, but only after, of course, university at Gordon College. What year did Lee graduate from nursing school? What was the name of the kids’ camp where Lee worked? Can someone relate that story more fully? What years did she work there? How did she get connected to it? Grandpa’s documents show him joining Park Street in 1966. When did Grandma join Park Street Church? This entry was posted in Lee, Steve, Taylor and tagged 1945, Eric Kindberg, Gordon College, Harold J Ockenga, Oswald J. Smith, Park Street Church, Virginia Gorman, West Suburban College of Nursing, Wheaton College, world missions on February 18, 2015 by Dawn Duncan Harrell. Dr. Ockenga’s vision for missions was sparked by the People’s Church in Canada and it lit up this church’s vision. His/their method of fund-raising for missions got to be famous and inspiring in always attempting from the pulpit to encourage a growth each year in the budget and the number of missionaries that it supported. I picked up the vision for missions there and also via my sisters [Lee and Betty], who were reinforced by the teaching and worldview of the church. One of the missionaries, Dr. Robert Foster, a good speaker and lively advocate of medical missions in Africa became one of my ideals for foreign service. He was first a missionary sharing the Gospel and then a very interesting and resourceful physician and surgeon in third world service. He later became sort of a mentor by mail of my progress through medical school. With pleasure and excitement we accepted the call for foreign missions in Angola after a stint doing medical work in South Dakota among the Sioux Indians. Park Street Church became a willing and supportive backing for our service of 17 years. Park Street’s purpose was to be intimately involved in the lives and work of its foreign representatives. Through the 100% support policy, the whole congregation got to know us individually and in our own priorities there in Africa. A Barnabas Group, with eight to twelve members, closely followed and upheld us in their prayers and with material and emotional backing. We were blessed greatly and more profoundly than by any of the other 15 churches that financially supported us during our time out in Africa. Only the Newton Presbyterian Church did as great a financial support though perhaps a lesser emotional and spiritual support. The Park Street vision is to be applauded and emulated by any church. My sister Lee had been involved with a camp specifically set up for African American children. This existed while we were in Philadelphia and I was probably five years old. It impressed me that she was doing it cross-cultural work, and not for the purpose of being cross-cultural but in service to God. Most of the time that I was growing up, Lee was out of a house in university nursing school and preparing for work, probably in the third world. So I had the vision planted in my mind that this was a way to go when I was an adult. While I was in high school and early college, Betty and Harley when off to France in mission work. Because they too were highly favored in my estimations, they impressed me that I needed to go somewhere “out there” for the purpose of sharing the Gospel. But perhaps the foremost in my leadings toward mission work was Park Street Church, which my father (Taylor) insisted we attend when we returned to the Boston area after the Second World War and our return from Philadelphia. Figuring in this influence were annual missions conferences, where missionaries were paraded in front of us and challenged us to be involved in taking the Gospel to somewhere other than our own home. Among those that were a challenge and an encouragement were Dr. Robert Foster and his wife Belva. They had been working in Zambia. 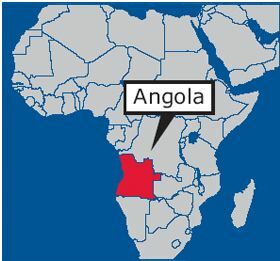 Later they started work in Angola, a Portuguese speaking country. I corresponded with them during my college and medical school career. It was Park Street’s minister Dr. Ockenga that started and kept the motion going toward missions as the only alternative for our future. Both of my sisters Lee and Betty were being supported in their mission work by Park Street Church. It was only natural that after my time in the U. S. Army and in graduate school that I took six months off and went to Peru. I worked in the medical laboratory there because I had already been trained in that work. After asking Marcia to marry me, I left for Peru and its jungles. 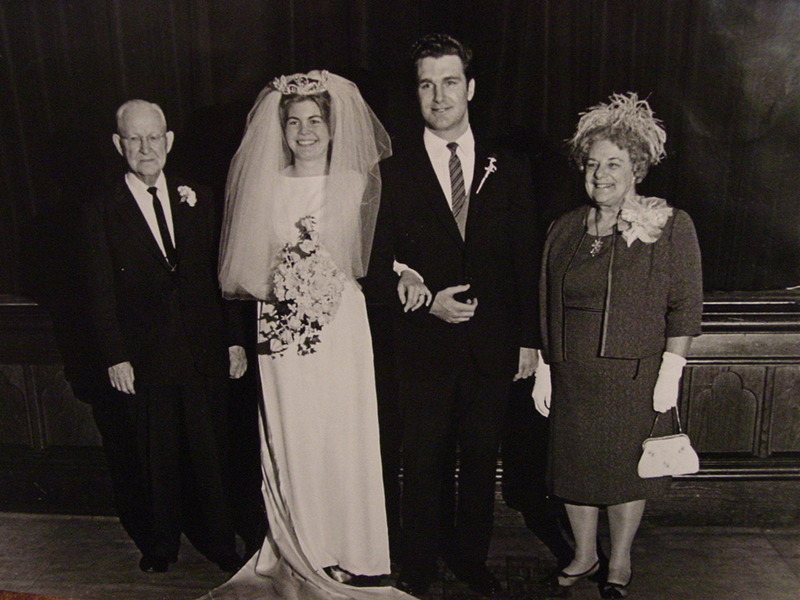 After the short term work in the laboratory, I returned in the middle of 1966 and we got married (Dec 1966). 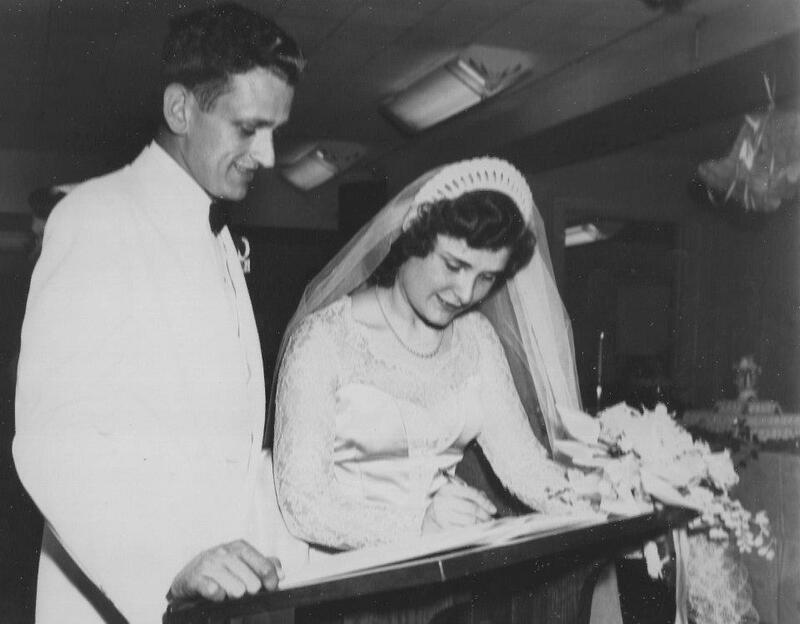 Even before Marcia and I tried tied the knot, we spoke extensively of serving in the third world. When we returned from medical school in Italy, I entered the internship at the Waltham Hospital, surgical residency at the Saint Elizabeth’s Hospital in Brighton, Massachusetts, and then five years with the Sioux Indians in Sisseton, South Dakota. We listened to an appeal for help in Angola to start a new hospital. So in 1983, we left for Portugal to get two months of training and the Portuguese language, and then flew to Luanda, Angola and eventually to Lubango in the Huila Province. Serving in a cross-cultural situation was being fulfilled. Do you recall hearing this story? What details can you add? Do you remember it differently? What’s your perspective? From whom did you hear the story? Where were you when it happened? What were you doing at the time? What was going on at the time? In the world, in the church, in your home? This entry was posted in Betty, Lee, Steve and tagged 1982, Africa, Angola, Army, Barnabas Group, Dakota Sioux, Harold J Ockenga, Newton Presbyterian Church, Park Street Church, People's Church, Peru, Robert Foster, Saint Elizabeths Hospital, South Dakota, Waltham Hospital, world missions on October 24, 2012 by Dawn Duncan Harrell. I was an outsider to Park Street Church until I met the lovely Betty Duncan at a youth meeting of which her brother [Wally] was the director. She played for me to sing and she did such a wonderful job I gave her a lifetime contract. Best arrangement I ever made! Shortly after meeting her we went to the Missions Conference at Park Street. I was pleased and shocked at the total involvement of the church in this endeavor. I can remember writing to my mother, “This is the first time I have experienced football game enthusiasm for the things of the Lord!” On the final day when people indicated how much God was leading them to contribute to the missions outreach of the church in the coming year, the usually staid Dr. Ockenga became a cheerleader and was full of fun. As the calculating machines clicked down in front, providing him with the latest totals, he would then share the totals with the congregation to encourage them. Occasionally he would ask one of the missionaries that had been featured during the ten-day conference to come up and share some aspect of the need on their field. Toward the end of the service he would tell people that it was time for them to turn in their “repentance pledge,” whereby they would indicate that they repented that they had not given all that the Lord wanted them to give! Many did just that. I am unaware of recent yearly amounts, but it is often over $1,000,000! Park Street gave to our support the 35 years we were in France. Often they would inquire as to our support level, or would simply increase some, knowing the situation. They were the most faithful in their support of God’s work through us. We are grateful to God and to Park Street. In which season or year did this story take place? What else was going on at the time? In the world, in the church, in your home? What house was the family living in? What was the address? Name the make and model of the family car at that time. What color was it? This entry was posted in Betty, Wally and tagged France, Harley Smith, Harold J Ockenga, Missions Conference, Park Street Church, world missions on October 24, 2012 by Dawn Duncan Harrell.